For Lucy, marriage to Mark provided an anchor after several years of drifting casually across countries, into jobs and out of relationships. Now forty-two, her anchor is working loose. Bewildered by the demands of motherhood and dissatisfied by her work, she has also grown understandably resentful of her husband: Mark has serious difficulties of his own and whilst harsh self-reliance has kept him sane, it has alienated his wife. When Lucy falls in love with Angus, a pianist in his sixties, her shock is extreme. Adamant that she will not deceive her husband, she instead asks his advice. Mark's reaction, however, is startlingly unorthodox, leaving Lucy to steer an impossible course between duty and desire, adventure and security. As her marriage falters and Angus presses for commitment, she is forced to choose between family and self, with lifelong consequences for everyone. 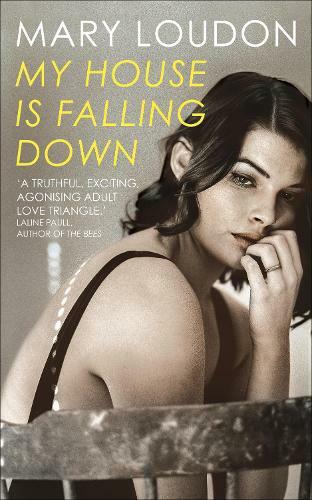 Infused with her trademark precision, clarity and dark humour, Mary Loudon's searing, highly-charged novel My House is Falling Down is a fearless exploration of what infidelity means when no one is lying, and how brutal honesty may yet prove the biggest taboo in our relationships. A truthful, exciting, agonising adult love triangle. An emotional labyrinth, with monsters, great risks - and survival. -- Laline Paull, author of The Bees.